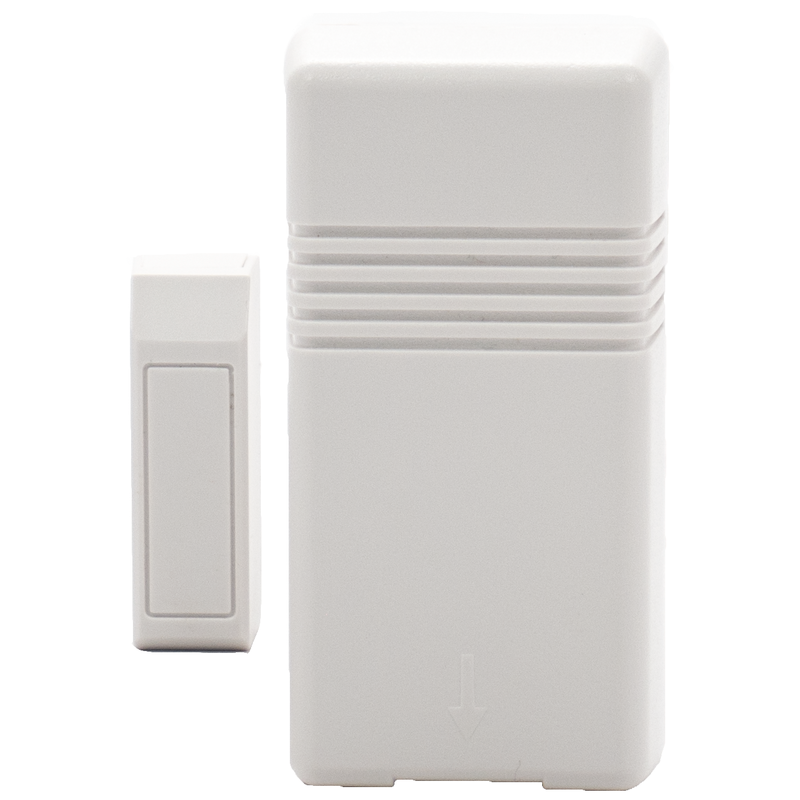 The Honeywell 5816WMWH is a wireless, white-color, door and window alarm contact that is your first line of defense against criminals. The 5816WMWH is a great addition to any other compatible Honeywell LYNX Plus, LYNX Touch, Lyric or Vista-Series compatible wireless security system security system. Use the included double sided tape to mount the transmitter on the door or window frame, and the magnet on the door or window. If the contacted door or window is opened while the system is armed, it will set off the alarm and send a signal to the AlarmClub Central Station. The battery is included and the magnet must be ordered separately. This transmitter operates on a 7-digit serial number and a loop number that must be programmed into a wireless zone in the control. When it senses a fault condition, it will send a fault signal to the control. The unit will not send the restore signal until the physical contact is restored.